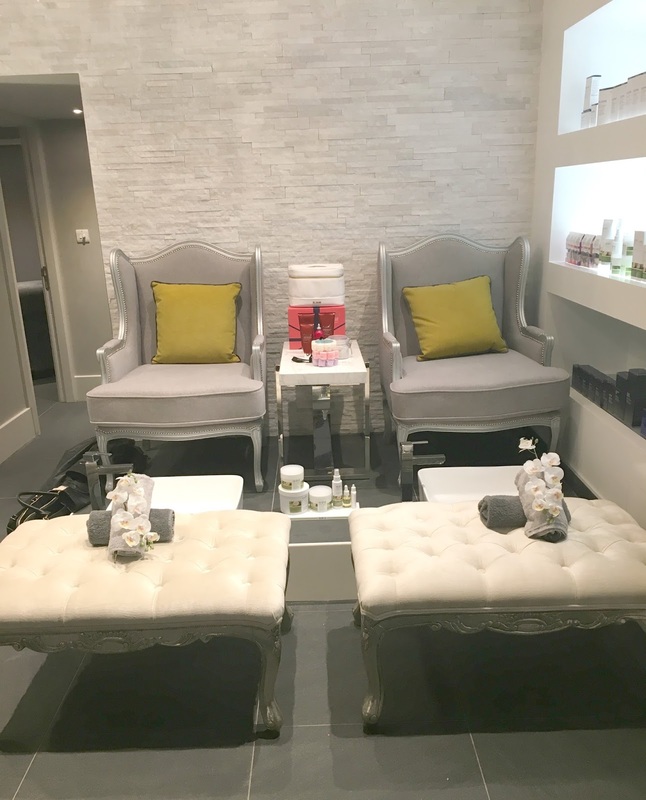 With Summer finally arriving I recently found myself looking for a luxury city centre spa in Newcastle so that I could get myself ready for the warmer weather (there was no way my disgusting feet were ready to be unleashed in public!) In the mood to try somewhere new I booked myself into Newcastle's brand new spa, All About You in the Grey Street Hotel. The beautiful boutique Grey Street Hotel has had a full refurbishment this year with a stunning new reception area and the most gorgeous looking bedrooms. Judging by the photographs it looks like a different hotel, and I can't wait to check in one day soon for a proper nose round. 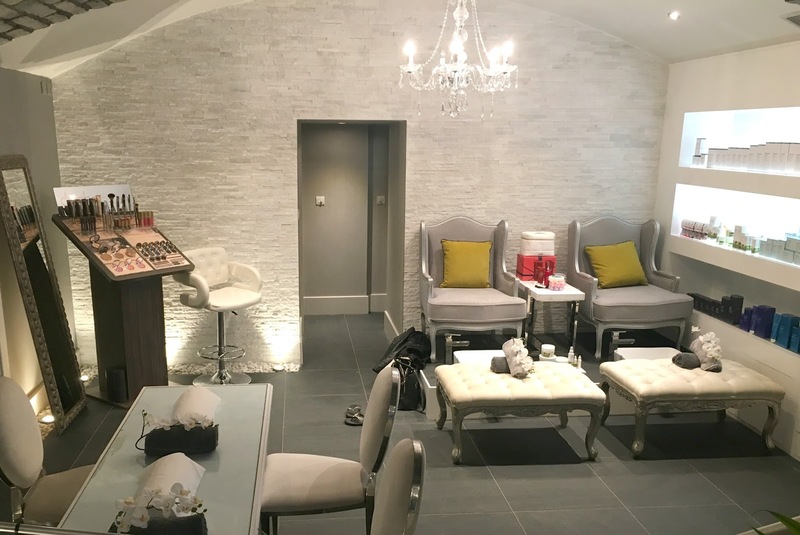 As part of the refurbishment you'll now find a brand new spa, All About You snuggled away in the basement and it is a beauty. Luxuriously furnished in white and grey with pops of mustard yellow, the spa is so comfortable and smells amazing, I felt at home as soon as I entered. I was welcomed at the desk by my therapist Rachel who was absolutely lovely and made me feel super relaxed straight away. We had a fantastic evening gossiping about life in the North East and sharing stories. The pedicure station at All About You is like no other I've seen in the region. My seat was a really comfortable huge arm chair and even the sink for my feet looked super fancy. I had a lovely foot soak with the most delicious smelling products followed by a foot massage that was so good I've decided I'm sacking my hubby as my chief foot masseuse! Once my treatment was over Rachel took me for a quick tour of the new spa and I couldn't help but let out a few "ooooohs". 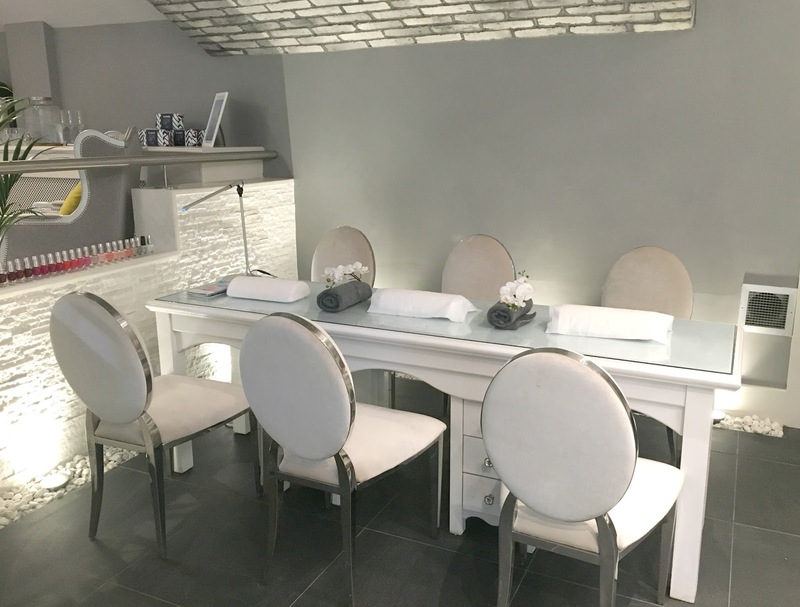 There are three gorgeous treatment rooms (including a huge room for couples that would be perfect for a little treat with your other half) as well as a manicure station and makeup counter. There are a huge range of treatments available at All About You including facials, massages, tanning and waxing. With a whole menu of goodies available for pregnant ladies and men, there are also some fantastic looking packages including a Couples Retreat for £85 which includes a massage, facial, chocolates and a glass of prosecco and personalised pamper parties for girlie weekends away and hen parties. An added little extra that I think makes All About You really special is the Delilah makeup counter. 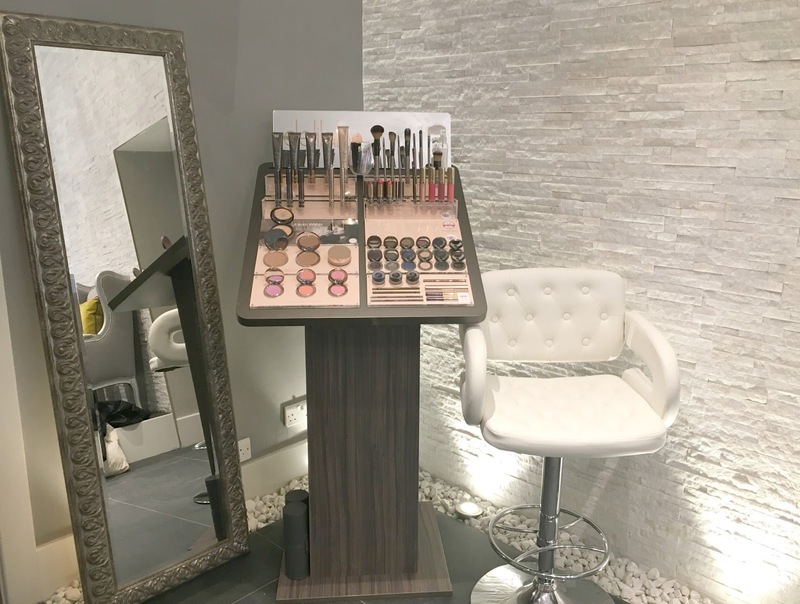 With its perfect location on Grey Street you can pop into the spa to get your makeup done and then you'll be ready for a night on the Toon. They even do makeup lessons (something I could probably do with). I always find makeup counters in the department stores a little intimidating so I love the idea of having a play around with the makeup at All About You. 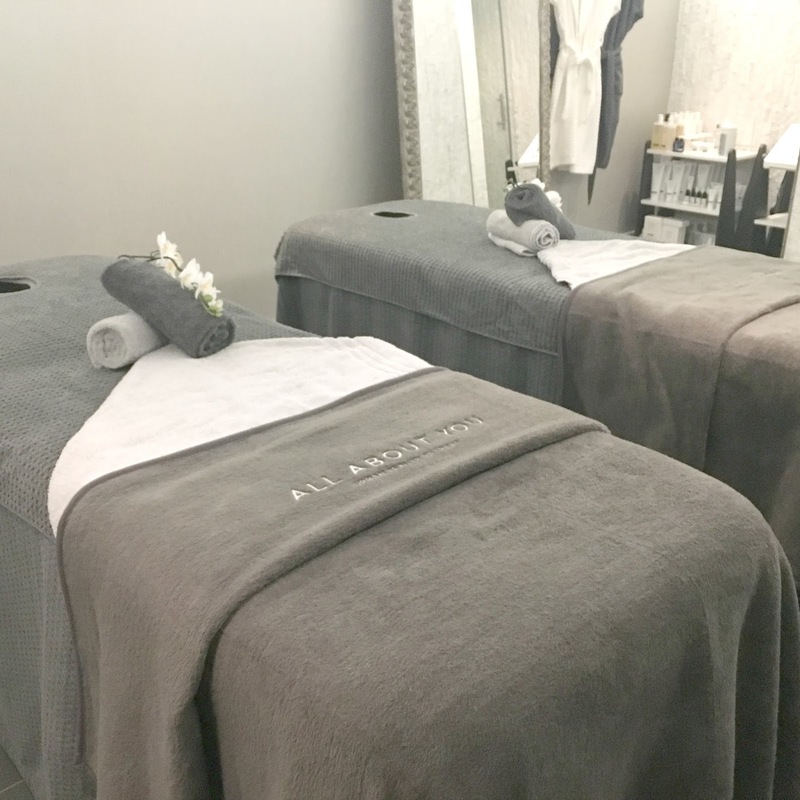 My first visit to All About You made quite an impression and I feel like I've found myself a city centre spa in Newcastle that I can make my regular (I quite fancy becoming a lady that spas!). So I've already booked another appointment for next week - and it's a biggie! I'm finally being brave and have booked myself in for my first ever wax! Wish me lucky folks, I'm an absolute wuss with a very low pain threshold! Yes I'm an absolute geek but after my first visit to the new luxury spa I couldn't wait to tell everyone all about it. As I made my way back up Grey Street (trying not to trip over the pavement in my flipflops whilst looking at my phone) I was excitedly texting my best friends telling them all about my experience and then I got home and couldn't stop chatting to Simon about my wonderful evening. I am so excited that I can finally get my feet out in the sunshine! When you find somewhere that truly makes you buzz with excitement it's a very special moment and I really hope that you all try out the new All About You spa in Newcastle, it honestly is an amazing find! Looks lush! what a great treat! Wow this looks great, love the grey theme!